The Court hands down precedential decisions on occasion that baffle and are invariably overturned at the Fed. Circus where saner minds prevail. On occasion, when sane minds are assigned to the panel to decide momentous matters in the first instance, there is no need to go higher. Justice can be accomplished in short order by using the computer on your shoulders that you were born with. Here, in spite of two notably anti-Veteran Judges, Friar Greenberg managed to steer them in the right direction. Winning these claims also requires a knowledgeable law dog. Mr. David R. Gagne got the dream team from the National Veterans Legal Services Program (NVLSP). David Sonenshine and Bart Stitchman ostensibly have their fingerprints all over this but Amy Odom was the day-to-day shieldbearer for all intents and purposes. I wrote about her successes in Beraud v. Shinseki a few years back. If anything, her prowess before the Courts has increased in the interim. Few remember the stone age of the Court and a fellow Veteran named Roger Schafrath. Roger actually is remembered for two concepts. Not only was the duty to assist enunciated clearly so as to clarify the concept to VA but also the inadequacy of a single C&P used to reduce an existing rating. Mr David R. Gagne’s decision will turn on the first Schafrath precept of how the duty to assist in a true, nonadversarial method helps the Veteran rather than pay lip service to 38CFR §3.159 while denying him. I think back to a local Gyrine Vet here near me named Tom. Tom had HCV and a pretty good idea that the tattoo @ 0200 on shore leave in Da Nang city, Republic of Vietnam was the culprit. Most Marines never recall getting the tattoo but boy howdy do they when they wake up and notice it in the mirror the next day. Tom’s fellow friend aboard ship, a Navy medic, submitted a buddy letter saying he remembered it well and even recited how they carved a perfectly good tattoo of a well-endowed lady off his arm and stitched it up. Not all at once. They did it in stages. She was extremely well-endowed and occupied a lot of square inches of upper arm. VA discounted the letter as a) no one can remember back that far with any clarity and b) there was no proof they served together on the CG-9 USS Long Beach. The VA rater’s legendary acumen was disproven when Tom pointed out the DD -214 of his buddy clearly stated his posting to the Long Beach during the time in question. Here, Mr. Gagne was being gigged for not being able to remember the approximate date (to within two months) of the incident upon which he rested his stressor. VA cannot have it both ways. Similarly , the VA’s nonadversarial posture was blatantly on display when it was pointed out that the M 21 manual arbitrarily shitcanned your claim if you could not narrow the time frame to within the two-month window they requested. If you were off by even a day, the claim would be denied for lack of finding it-not that it didn’t exist. VA clung to the misguided theory that they were not required to search any further than within whatever two-month period you specified. Since Congress didn’t write this gem into the statute, it appeared to be a little over the top to the judges. Knowing Judge Greenberg, it must have made his skin crawl. § 3.159 Department of Veterans Affairs assistance in developing claims. (a) (2) Competent lay evidence means any evidence not requiring that the proponent have specialized education, training, or experience. Lay evidence is competent if it is provided by a person who has knowledge of facts or circumstances and conveys matters that can be observed and described by a lay person. (b)(1) (2) When VA receives a complete or substantially complete application for benefits, it will notify the claimant of any information and medical or lay evidence that is necessary to substantiate the claim (hereafter in this paragraph referred to as the “notice”). In the notice, VA will inform the claimant which information and evidence, if any, that the claimant is to provide to VA and which information and evidence, if any, that VA will attempt to obtain on behalf of the claimant. The information and evidence that the claimant is informed that the claimant is to provide must be provided within one year of the date of the notice. 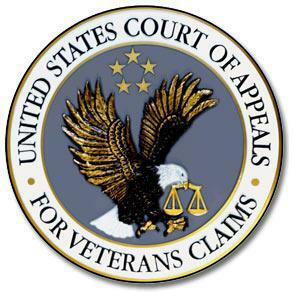 If the claimant has not responded to the notice within 30 days, VA may decide the claim prior to the expiration of the one-year period based on all the information and evidence contained in the file, including information and evidence it has obtained on behalf of the claimant and any VA medical examinations or medical opinions. If VA does so, however, and the claimant subsequently provides the information and evidence within one year of the date of the notice, VA must readjudicate the claim. (2) If VA receives an incomplete application for benefits, it will notify the claimant of the information necessary to complete the application and will defer assistance until the claimant submits this information. (c) VA’s duty to assist claimants in obtaining evidence. Upon receipt of a substantially complete application for benefits, VA will make reasonable efforts to help a claimant obtain evidence necessary to substantiate the claim. In addition, VA will give the assistance described in paragraphs (c)(1), (c)(2), and (c)(3) to an individual attempting to reopen a finally decided claim. VA will not pay any fees charged by a custodian to provide records requested. Mr. Gagne lost below at the BVA because he could not narrow the window of his stressor to a two-month period. VA, using the M 21 Manual, an instructional “how-to” on claims adjudications that is nowhere to be found in 38 USC or 38 CFR, denied him. This was the problem that the VA Secretary finally had to admit was not according to Hoyle. Granted, Veterans are not (and should not be) given a ten-year search window to find the stressor. Shrinking it down to two-months, however, is going too far in the opposite direction. The Gagnemeister had it down to a year and the actual unit he was assigned to. That would be enough to find the event that provoked the bent brain but VA was disinclined to waste that much time on it. Note that they never determined the records didn’t exist. This is what the Courts call “an absurd reading of the law that Congress never intended.” We in the legal theatre call it par for the course when dealing with these peter puffers. To get around it, and to let the VA keep their precious M 21 language intact, Judge Greenberg merely ordered the VA to search in two-month increments for all of the year that Mr. Gagne was in Thailand until they found the corpus delecti. If said body was not unearthed then the duty to assist had been afforded him and the denial would be legal. Another obvious error in this was also glaring. Mr. Gagne had informed the RO that he was waiting for his records from the NPRC to help substantiate this event. VA knew full well there was nothing of substance there that would help. Furthermore, they had the very same records before them and never intimated they possessed them. Had David known this, he could have asked for assistance at the National Archives and succeeded in obtaining what was needed there. Finally, we are to believe that since there are only 13 full-time employees of the JCRRS, the VA is not obligated to go further afield or be more diligent in their search. Seems to me, the JCRRS needs to follow VA’s lead and hire about 5,000 guys in order to get the same amount of output of 100. Since the majority of JCRRS’ workload is strictly of VA origin, if they are overwhelmed they should ask for more funding before VA initiates insane internal “guidance” abrogating their responsibility in the duty to assist. How else are we to read it? With the advent of the new Fully Developed Claim (FDC), more and more Veterans are collecting their own evidence and taking the onus of the search off VA. If this is the case, logic dictates the workload of the JSRRC must be declining by rights. Try explaining that anomaly to the VA bean counters. This entry was posted in BvA Decisions, CAVC ruling, Duty to Assist and tagged ASKNOD BOOK, asknod.org, asknod@wordpress.com, Disabled Veteran, DIY vA Claims, Gagne v. McDonald, Gulf War Claims Help, Gulf War PTSD, Gulf War PTSD Claims, Gulf War Vets Help, HCV, HCV Veterans, HCVETS, Help with vA Claims, Help with vA HCV Claims., Helping Veterans, Korean War Vets Help, Service Connection, VA claims, vA CLAIMS FOR PTSD, VA HCV Claims Help, Veterans Benefits, Veterans claims help, Vietnam Veterans Claims Help.. Bookmark the permalink. Better than spending one year at William and Mary studying the Law bro!